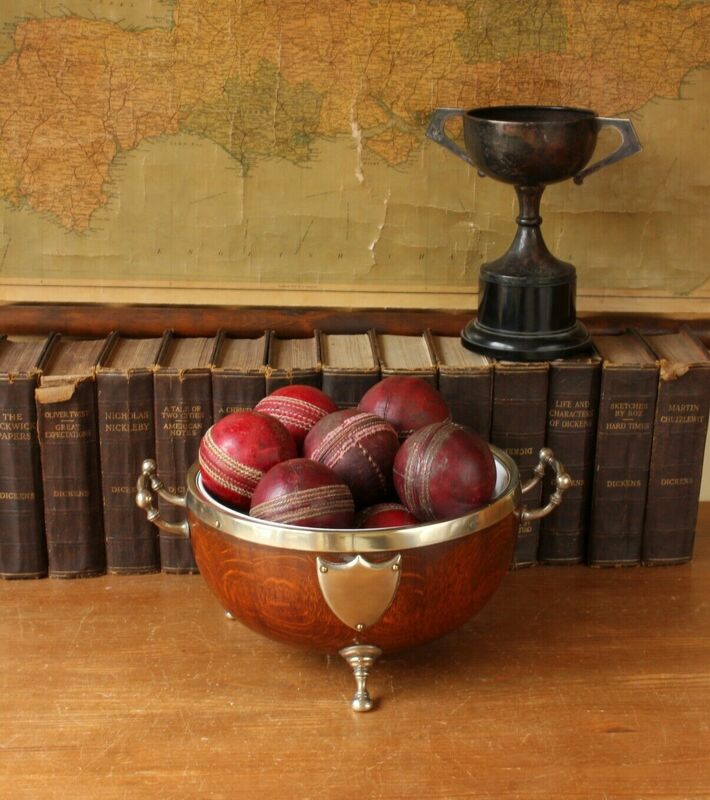 English Oak & Silver Plated Trophy Bowl with Old Leather Cricket Balls. Missed this item? Please contact us to add similar to your wanted list. 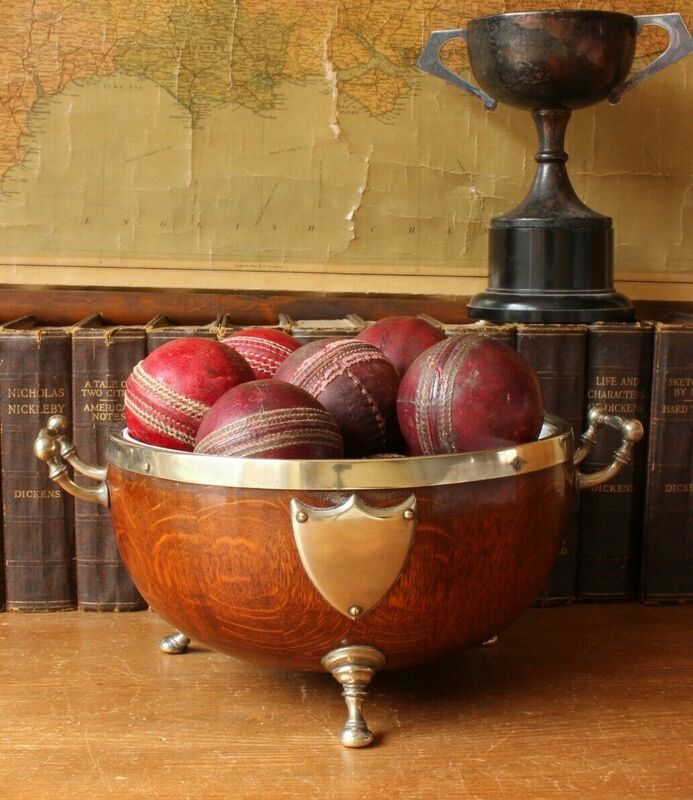 This handsome English Oak trophy bowl with silver plated rim, handles, feet and shield comes complete with 10 vintage cricket balls and looks stunning on display. 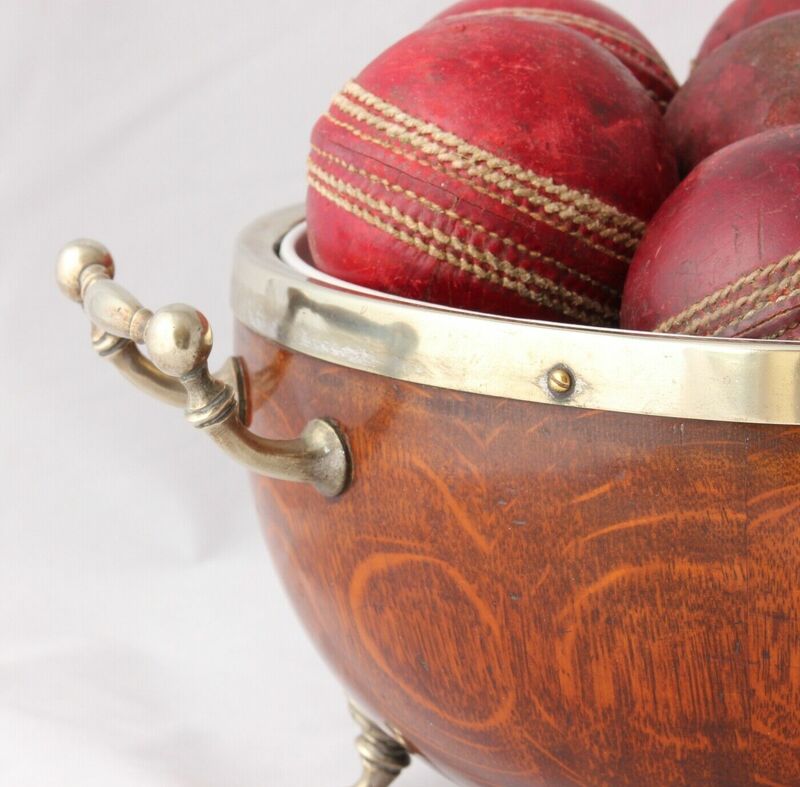 This very nice quality trophy bowl that has a ceramic liner and stylish feet and handles has a vacant shield to the front and would be an excellent decorative piece for a cricket enthusiast. 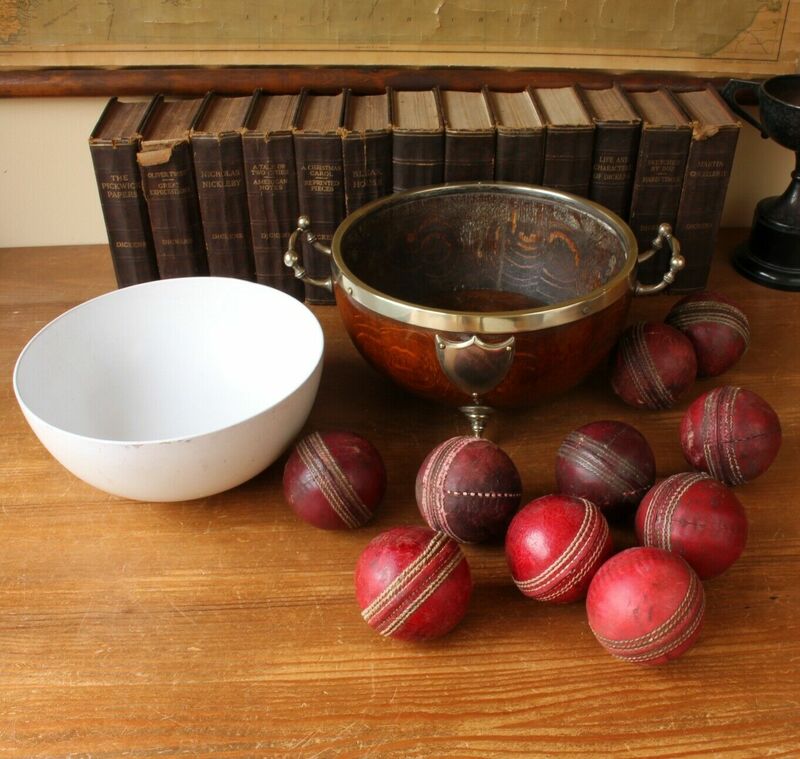 Size: Bowl height 14 cm / 5 1/2". Width including handles 30.5 cm / 12". Condition: Very nice decorative condition with signs of use and wear with a wonderful look. 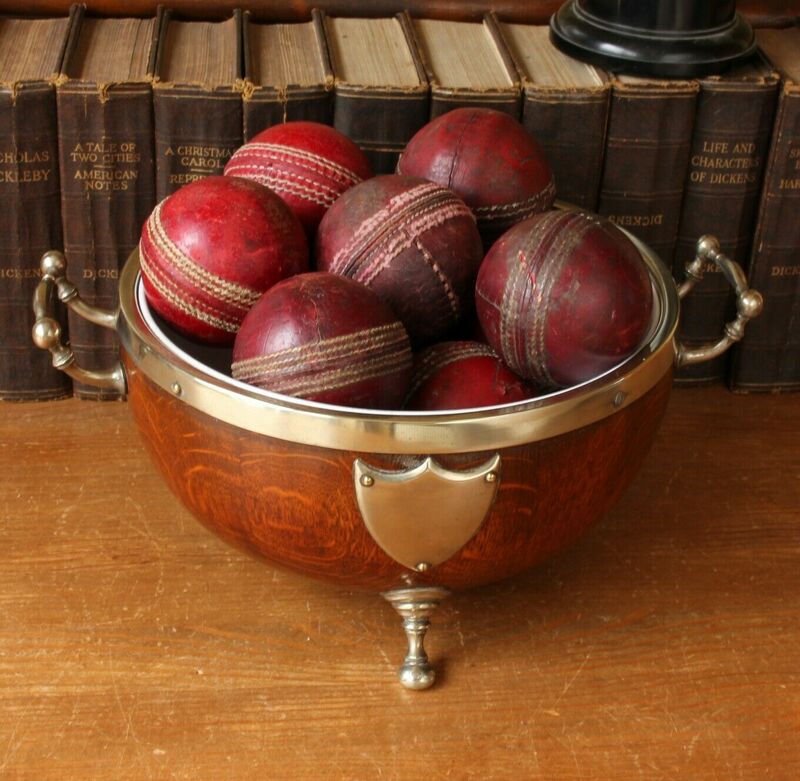 The balls have lots of wear and tear. 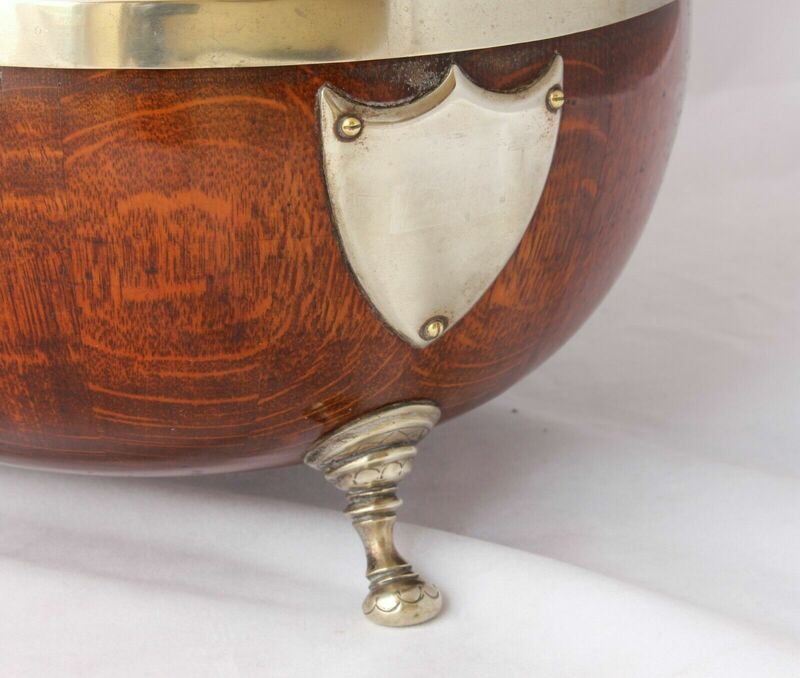 Silver plate has wear with a warm tone just showing through. Inner white ceramic liner has an old crack repair. Please see pictures. Allow 3 - 5 working days for delivery. Express delivery can be arranged. Can be shipped worldwide. Please contact us for a quote.